Here’s another tradi-mod gem from 21st century Africa. “Tradi-mod” is a term coined to describe the music of Congolese bands like Konono No. 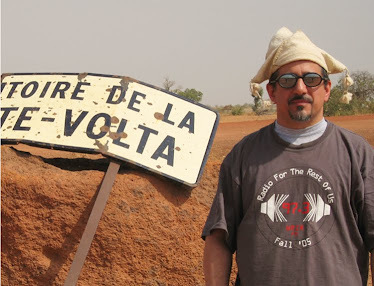 1 and Kasai All Stars, artists with both feet planted deep in the traditional sounds of their regions or ethnic groups, and both hands on the controls of synthesizers, samplers or other contemporary music-making devices that are reshaping the African audio landscape. 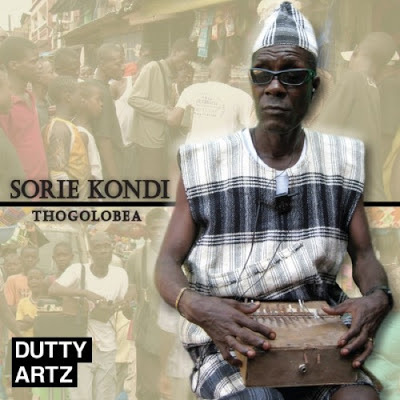 You can hear the tradi-mod phenomenon all over the continent – Sorie Kondi (whose second name is taken from that of the metal-tined thumb piano he plays) is from Sierra Leone. Freetown-based producer Fadie Conteh adds the “mod,” in the form of whistling electronic keyboards, funky keyboard bass and stuttering drum loops, behind Sorie’s quite “tradi” singing and playing. He also Autotunes Sorie’s vocals (most prominently on tracks 3 and 6) – this is one of the rare occasions where that overused app actually helps the situation, and it makes Sorie’s singing surprisingly more emotionally affecting. This is a lovely album that should appeal to fans of both African music and electronica; it really deserves to reach a wide audience.